Slight of Hand Slight has more horn than any 1880s vintage steer who ever went up the trails. Great data. T2T on 5-31-18 84.34." Nothing worse than the ride home saying, "I wish I had bought him." 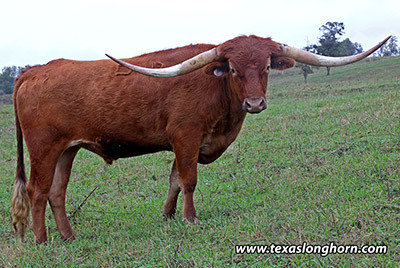 How many age 4 steers of any breed have over 7' horns T2T - not many!